I recently read an article called, “Doing these 14 uncomfortable things could change your life forever.” And wouldn’t you know, #4 was – Do Something Creative. That’s why I have decided to help you find a hobby in arts and crafts so you can get creative. I’ve heard it many times during my lifetime. You probably have too. Maybe you are the one who has this belief. But let me help you change your mind and so you can jump into something artsy or craftsy and wake up the sleeping creative giant in you. After all the moans and groans and the drawing started, we would have a collection of stick figures to picture perfect portraits. And they would all be unique, meaningful and beautiful. It is only in the comparing of our drawings, would we even think that our creativity is less than someone else. Stop comparing yourself to others and watch your frickin, creative flag fly! When you create, you are creative. Whatever it is. The picture that you drew regardless of what it looks like could have only been created by you. Your memory, your skill, your interpretation. When are you going to realize that it is YOU that’s the secret sauce? That’s why I believe that you should have a hobby in arts and crafts that will allow you to take your uniqueness and create something only you could. The arts and crafts category is one of the largest on Hobsess.com and for good reason. So many of these skills can be turned into a lucrative business because they provide a product that can be sold. But in the exploration stage, let’s take a look at what you can find in Hobsess.com. Click here to go to the page described in the video. 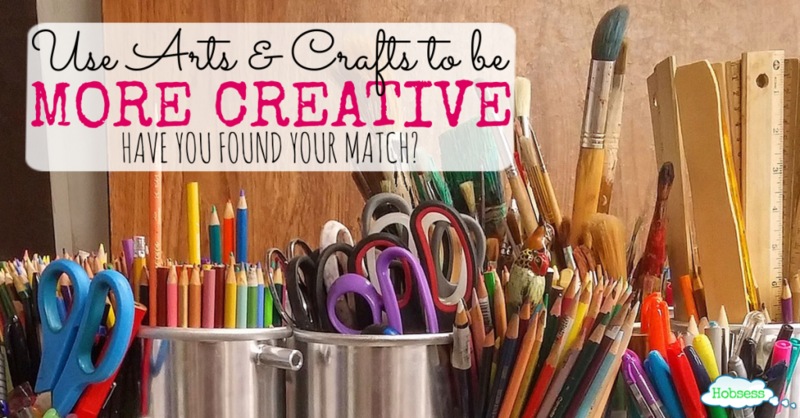 Just read my article called, 5 Reasons to Get Into Arts & Crafts for more valid points other on why this would be a good decision for you to get started already. But whatever those voices are saying to you, beat them down and decide on trying one of the hobbies. 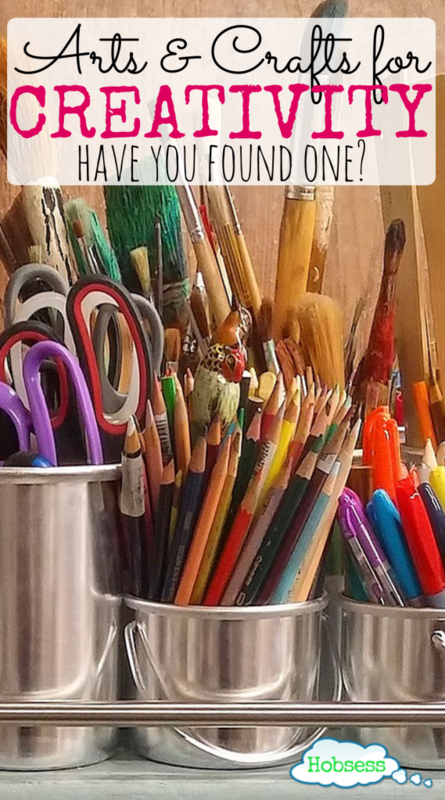 Which arts and crafts hobby you have tried? Is one (or more) your hobby? If you are still searching, which one are you going to try first? I can’t wait to hear about your experiences with arts and crafts. Absolutely LOVE your story! And awesome that you shared that experience with your friend. Beautiful Write. Wonderful article, I appreciate your thoughts. This is so helpful and TRUE! This blog really speaks to me! It was a very valuable piece of advice. Very well written. Your observation is right on the mark. It’s sad how children are creative and proudly so, it is only when we become adults that we hear ” I’m not creative.” I love to make handmade greeting cards. It is a fun outlet, convenient, and let’s me explore my creativity. It is a little thing, but it adds something nice to my life. You said it, Michele! Why does getting older mean we have to judge ourselves so harshly? We have the same creativity that we had as children. Thanks for the reminder. Can you have too many??? You can definitely lend them to me! This is a great article! I’m not “crafty” but I love making things. I have a passion for crochet, I discovered I am pretty good at it and I really love it. I get a lot of enjoyment out of it. Angela, that is so fantastic that you know how to crochet! Isn’t it amazing that you tried it and discovered that you’re pretty good at it? If you hadn’t tried it, you never would have known. Beautiful. Great post! To help relieve the stress of high school, my best friend and I would go up to the craft store, buy a canvas board, buy whatever cheap acrylic paint caught our eye at the time, and head back to my place. (Over time our paint collection grew impressively.) We’d turn on a favorite CD, sit on the floor of my bedroom, and start painting, each taking half the canvas. It was always fun to see what patterns we’d develop and how we’d figure out to mesh them together in the middle. I still have all of our paintings! WONDERFUL stress relief and tons of fun with a friend, letting creativity happen without a specific end goal in site. I absolutely LOVE your story! And awesome that you shared that experience with your friend. But what is most incredible about your story is that you still have the paintings! Now, that would make a great blog post! I would love to see your creations. I’d never considered doing a post on that, but thanks for the idea! I’ve just started a series on my blog on creativity, so it would fit right in. I’ll link back here if I do!